Most homeowners overwater their yard, unintentionally wasting money every time they take out the hose or turn on the sprinklers. To raise awareness of the benefits of efficient watering practices, the Irrigation Association has named July Smart Irrigation Month. Using an automated irrigation system is one of the best ways to keep your lawn and landscape beautiful and healthy, while minimizing water waste. Make time this summer to be sure you’re getting the most out of your irrigation system, while keeping utility bills low and helping to protect the environment. Creating an efficient irrigation system requires specialized knowledge and understanding of irrigation design principles and local environmental conditions — something most weekend gardeners don’t have. Complying with local installation codes is another consideration. Even the best irrigation design won’t perform well if installed incorrectly or using inferior components. Something as simple as selecting the correct type of pipe can mean the difference between a system that lasts and one that requires ongoing repairs. Guarantee long-term satisfaction with your irrigation system with up-front planning. Group plants with similar water needs close together and separate lawn areas from planting beds. Check the on-site water pressure and select appropriate sprinklers. Low or high water pressure can seriously affect sprinkler performance. Use quality components to minimize future maintenance needs and total lifetime cost of your system. 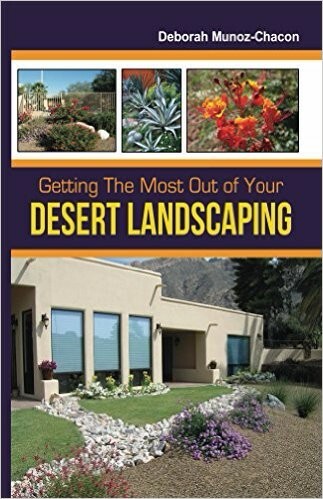 Deborah Munoz-Chacon, the owner of Sonoran Oasis Landscaping, is the author of Getting The Most Out of Your Desert Landscaping. Find out what you need to know about desert landscaping whether you love to do your own gardening or you have someone else do it for you. Copyright © 2017 Sonoran Oasis Landscaping, All rights reserved.